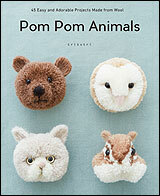 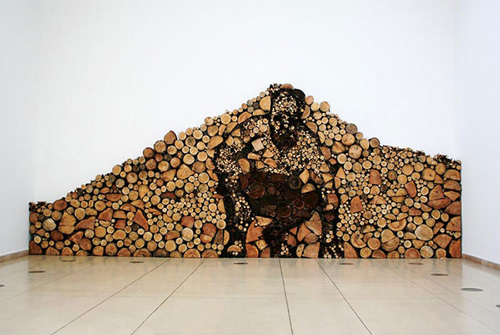 All of the above are created by Gary Tallman. 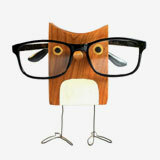 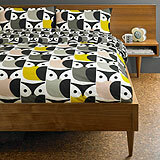 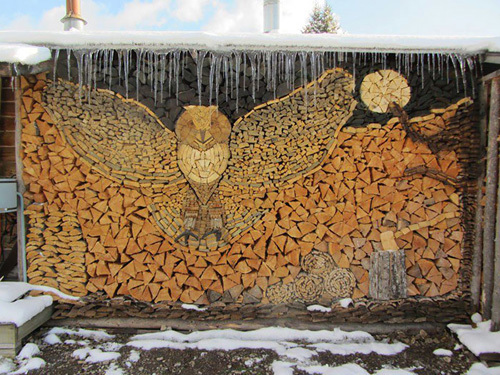 Do you know you can turn wood logs into art! 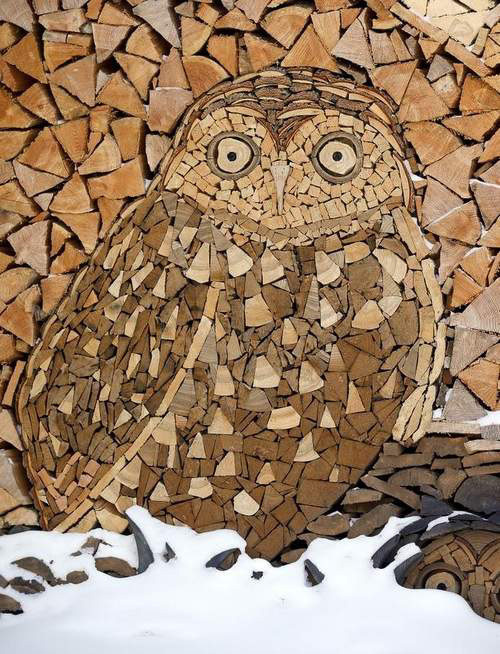 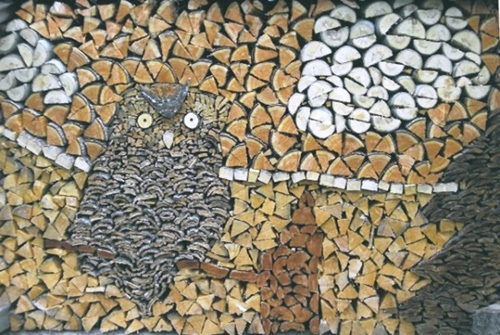 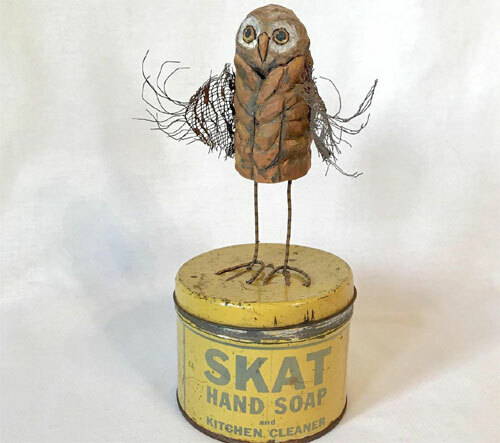 These creative minds use huge piles of mundane wood logs to create artwork featuring owls, figures and other nature's elements. 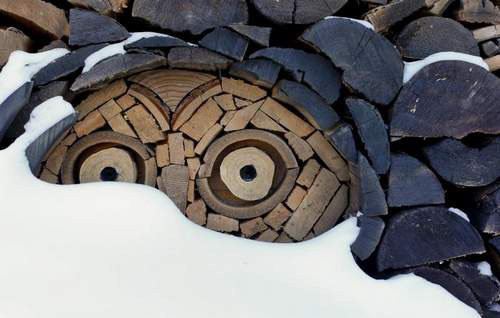 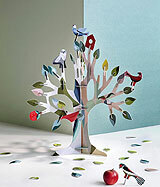 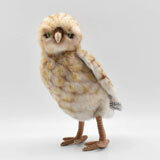 They seem to have a special skill in distinguishing wood based on it's color, texture shape and size which they use to their advantage in creating a piece. 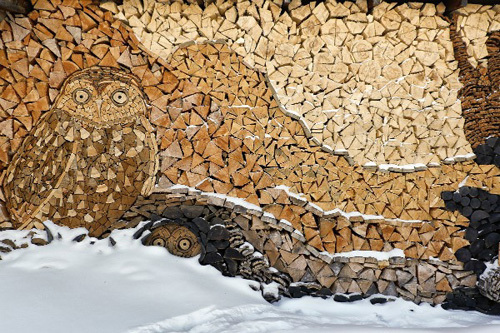 For example it's a work of a genius how the owl feathers are formed with different colored wood in the third picture from the top. 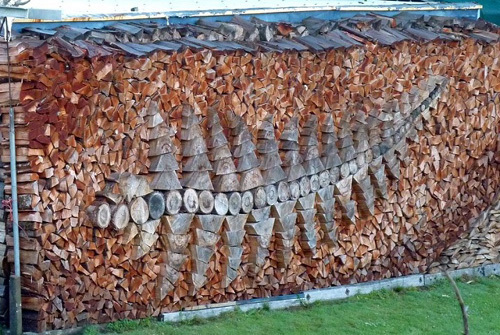 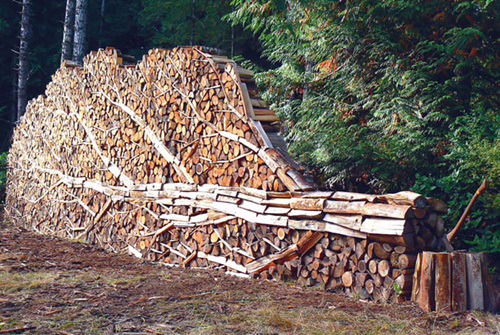 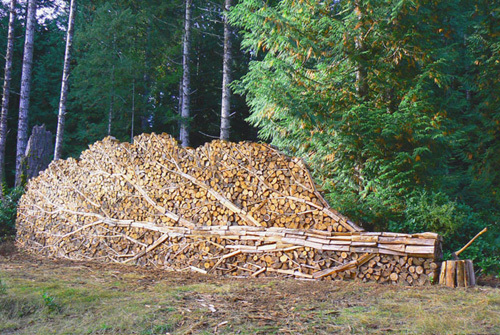 So why not use the pile of logs sitting in your backyard to make your own masterpiece.